Do you have a taste for anything that sparkles and a preference for sequins over just about any other texture or fabric around? 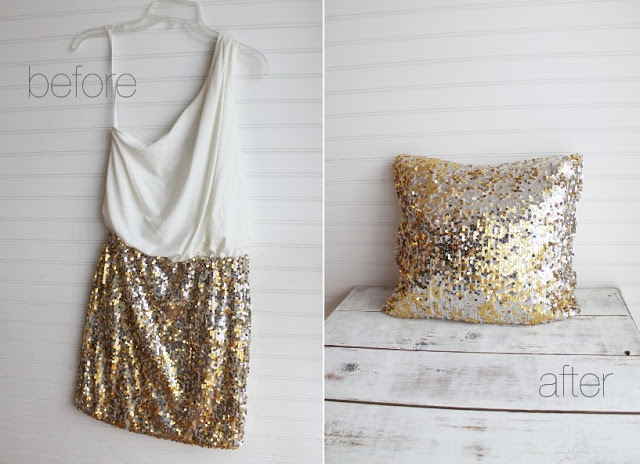 Believe it or not, sequins are surprisingly useful in DIY projects of all kinds! Of course, many of the best sequinned projects are fashion and accessory based, but there’s nothing wrong with adding a bit of shine to your decor scheme too. Check out these 15 fantastic DIY projects that are perfect for anyone with an appreciation for things that shine! Sweet Verbena guides you through the process of not only sewing your own sequinned mini skirt, but lining it too! Putting a lining inside the sequinned fabric is a crucial step because it stops the stitching on the underside of the sequins from itching you too much to wear the skirt. Don’t be daunted by the fact that you’re sewing an entire piece of clothing here! It’s a surprisingly easy pattern, even for beginners. Do you want to look your best, even when you’re on location working to collect the best photographs of a new event or big concert? Then don’t let a big, thick camera strap cramp your style! 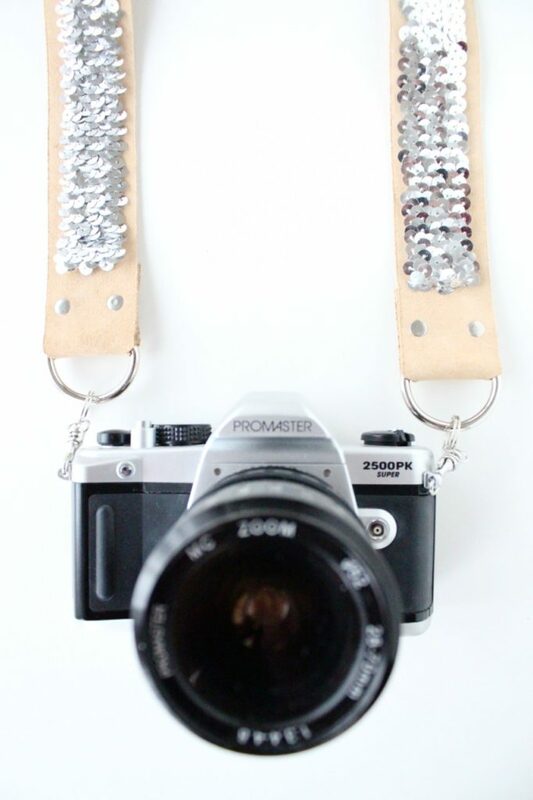 We replaced our own DSLR strap with a fun sequinned one, just like this design from Sugar and Cloth. They teach you how to make your own in just a few simple steps. Are you a huge fan of sequinned clothing and accessories but you’re not quite feeling confident enough in your sewing abilities to make yourself an entire skirt yet? Try a smaller alterations project instead! 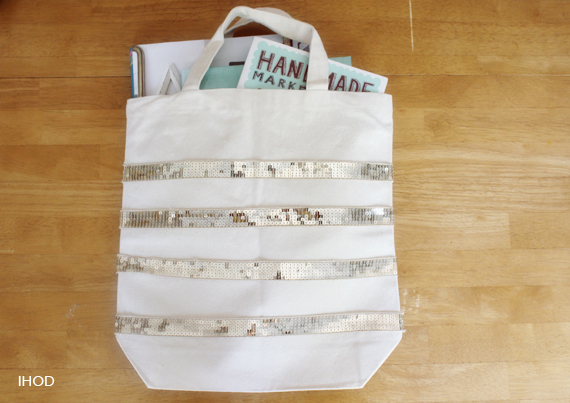 This sequinned tote bag is the perfect place to start. It’s totally easy, but you’ll still get to practice some basic sewing skills and enjoy a stylish final product. See how it’s done on In Honor of Design. Maybe just a little touch of sparkle is all you need, rather than a completely sequinned skirt? 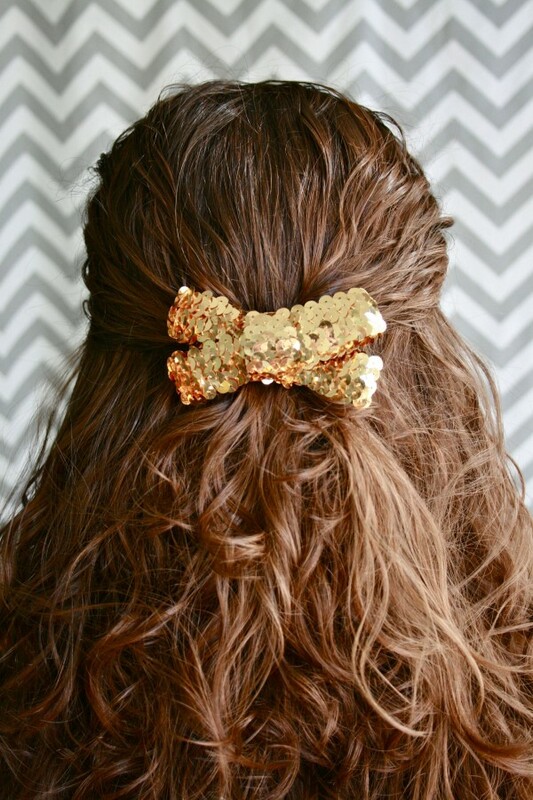 Then check out this adorably simple hair bow accessory by The Glitter Guide! We love that it’s enough to glam up just about any outfit without going over the top or overwhelming the look. 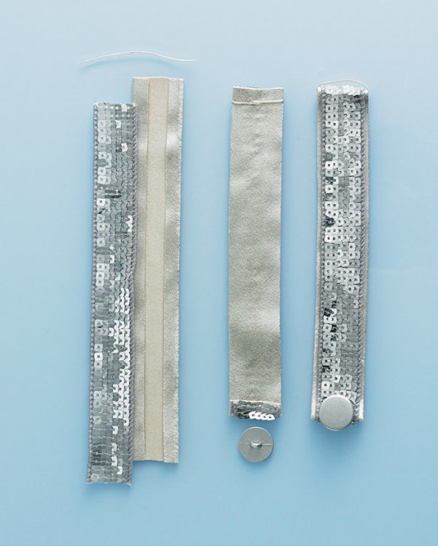 Speaking of things that add just the perfect touch of sparkle, take a look at these neat but adorable sequinned cuffs from Martha Stewart! They’ll complement a classy outfit or fit right into a flashier look- whichever you need! Feel free to play with the width of the cuffs when you make your own. Do you love nothing more than a chicly upcycled accessory made from household items? 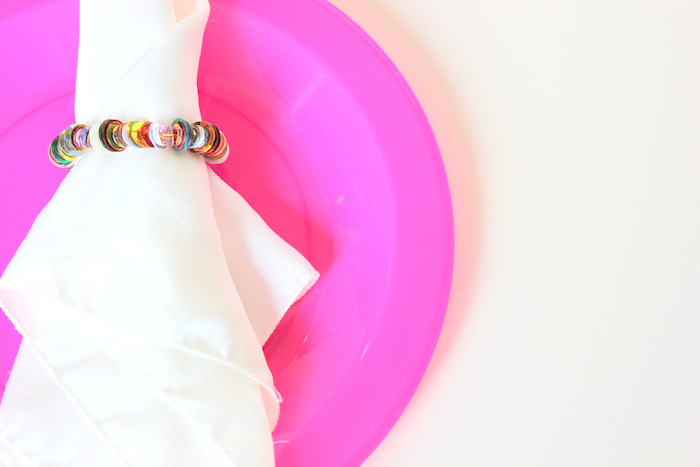 Then you’re probably no stranger to safety pin bracelets just like these ones by High on DIY! What sets this design apart, though? The addition of sequins, of course! Simply slide the hole in the centre onto the pin and close it up. How’s this for a modern take on a classic style? You’ve probably seen vintage sweaters with a smart, neat suede patch on each elbow and maybe you like that basic style, but you can totally glam the design up too! 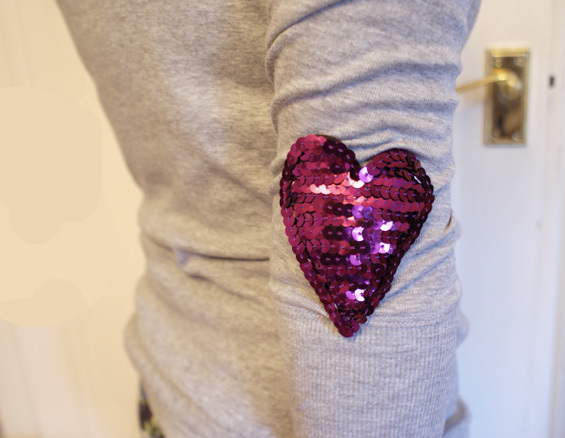 Miss Vicky Viola shows you how to make alternative heart shaped patches from bright pink sequins instead. 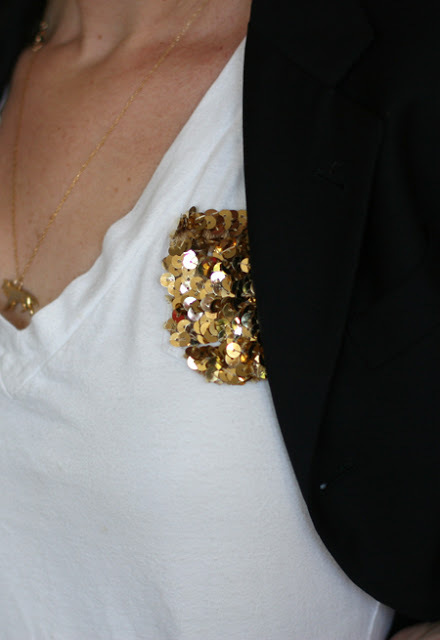 Do you like the idea of adding a subtly sequinned detail to one of your favourite shirts, but you’re not sure the vintage elbow patch idea is the one for you? Try customizing the pocket of your t-shirt instead! We love the way this gold design from Say Yes peeks out from beneath a blazer or sweater for just a hint of casual glamour. Remember when we talked about sequinned decor at the beginning of this post? Don’t worry, we haven’t forgotten about that concept! 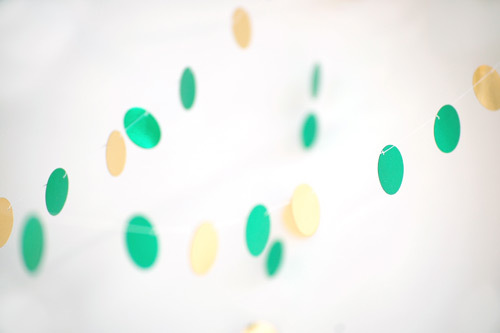 Stuff Steph Does has the perfect simply sequinned decor idea to start you off with until you’re ready to commit to a little more sparkle in your space. 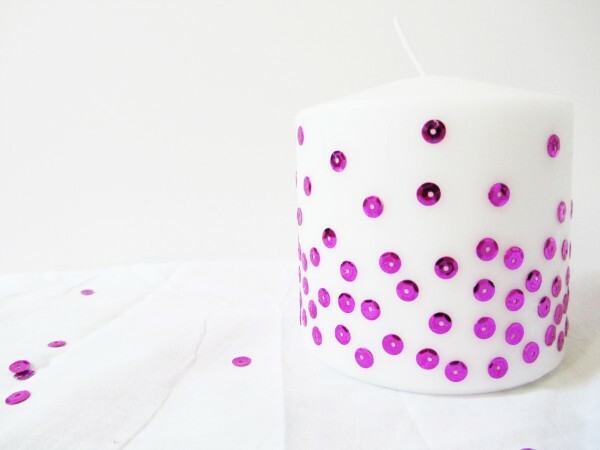 Check out how these individually placed sequins are affixed to the candle’s surface in their tutorial! Have you always enjoyed those big, chunky letters that you often see in craft and dollar stores, but also wished there was a more fun, flashier version out there for you? Well, just in case you don’t find one, here’s a tutorial to show you how to make your own! 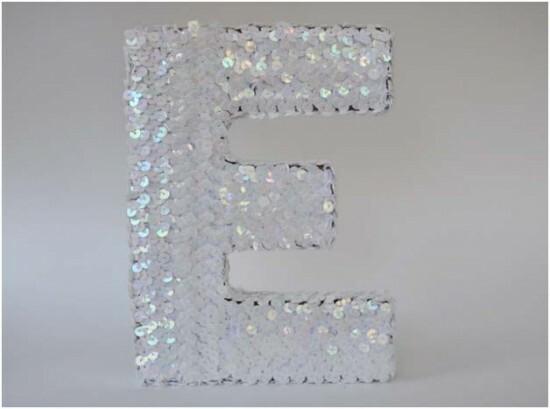 We adore this sequinned monogram idea from Momtastic. Do you love all things sequinned, but you’ve always gravitated a little more towards the larger disc sequins rather than the smaller classic ones? You’re not alone! 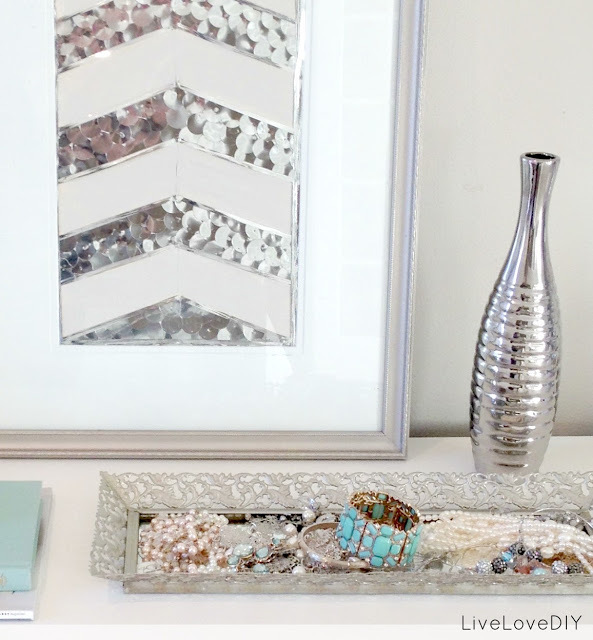 Live Love DIY shows you how to harness the beauty of the chunky sequin in an awesome chevron patterned wall art design that’s perfect for framing and hanging up. My Sister’s Suitcase shows you step by step how to upcycle a dress skirt into a pillow in order to save some perfectly good sequinned material from going to waste in a garment that doesn’t fit you anymore. Follow their instructions and enjoy how deceivingly simple this transformation project really is! 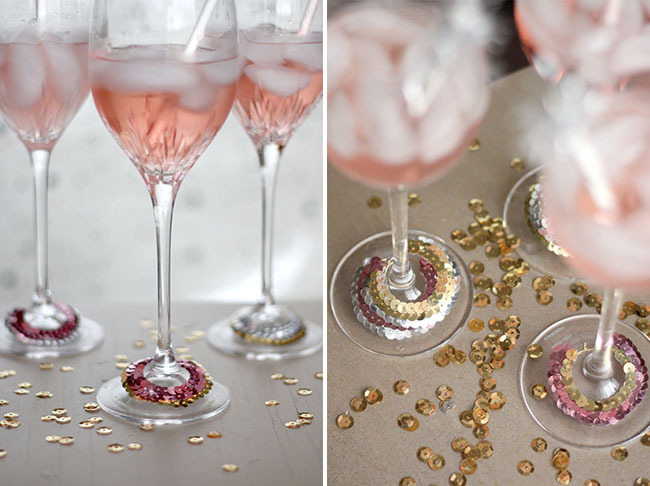 Are you getting ready to host your best friend’s glamorous bachelorette party, complete with delicious glasses of pink wine? Of course, you’ll need to keep track of who’s drink is who’s! Green Wedding Shoes suggests keeping up with the fun and fancy theme by making your own sequinned drinks rings in all different colours. While you’re making your sequinned cocktail rings, why not make a larger set of rings for the napkins so that your dinner table really matches? In fact, it won’t just match, it’ll actually sparkle! The technique is simple, but the effect it’ll have on your guests is huge. Check out how they’re made on A Fabulous Fete. Did you make your large sequinned disc wall art and find that you still don’t have enough chunky sparkle in your decor to meet your tastes? Well, you can amp up that factor at little, at least at your next dinner party, by making these awesome large sequinned party garlands! Joey Ever After shows you how to string the individual sequins along a thread so they catch the light perfectly and look great. Have you made other awesome sequinned DIY projects that you’re very proud of and can’t wait to show off? Tell us about how you did them and link us to pictures of your work in the comments section!